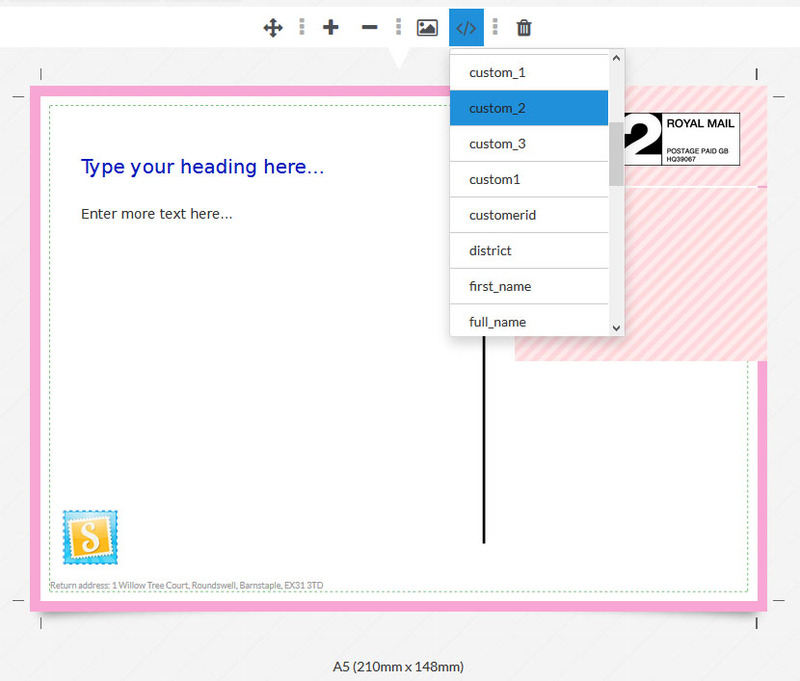 Stannp templates enable you to dynamically change an image depending on each recipient. For instance you may be sending one of your customers a postcard with an image of a product that they have shown interest in. Different recipients will have different interests hence the need for a variable image. Your first step is to create your template. You can create a new campaign to and design a template or if you will be reusing your template you can create it in the designs area. In the screen shot below I have selected a logo and marked it as a dynamic image. 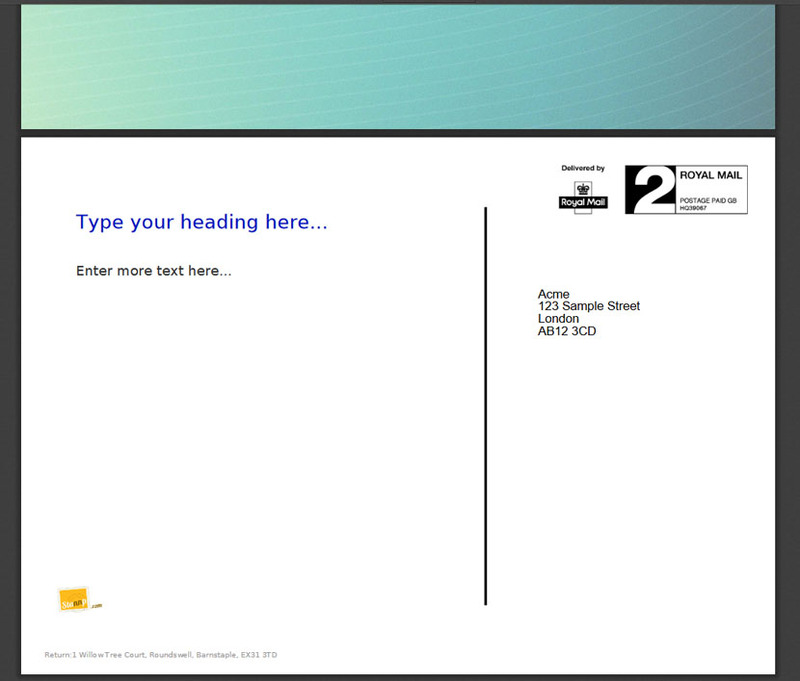 Now if the template is used for multiple recipients I can use the “custom_2” field to dynamically change the image. For example if I send to a recipient with the value of “https://www.stannp.com/website2016/assets/Stannp.jpg” in their “custom_2” field then the following mail piece will be produced. You can see the logo image has been replaced. If the “custom_2” field was empty or failed to find an image then the image used would be the original logo from the template.